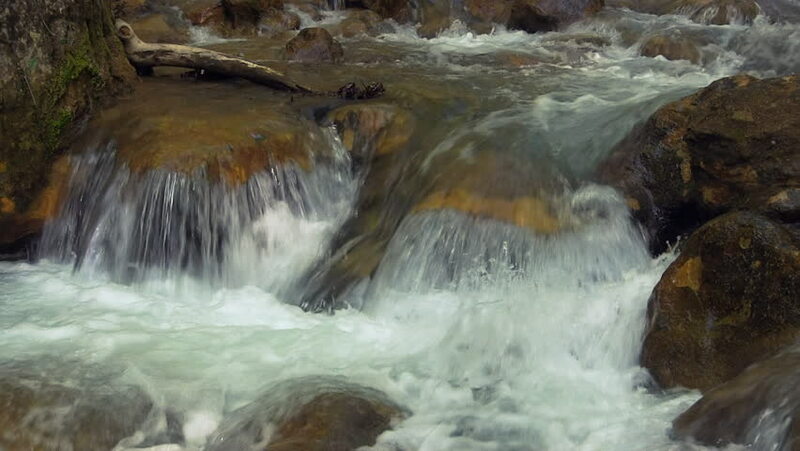 hd00:21A small waterfall in tropical Thailand. 4k00:21Rushing bubbling water of a mountain river. Spring rill flow. Nature composition.